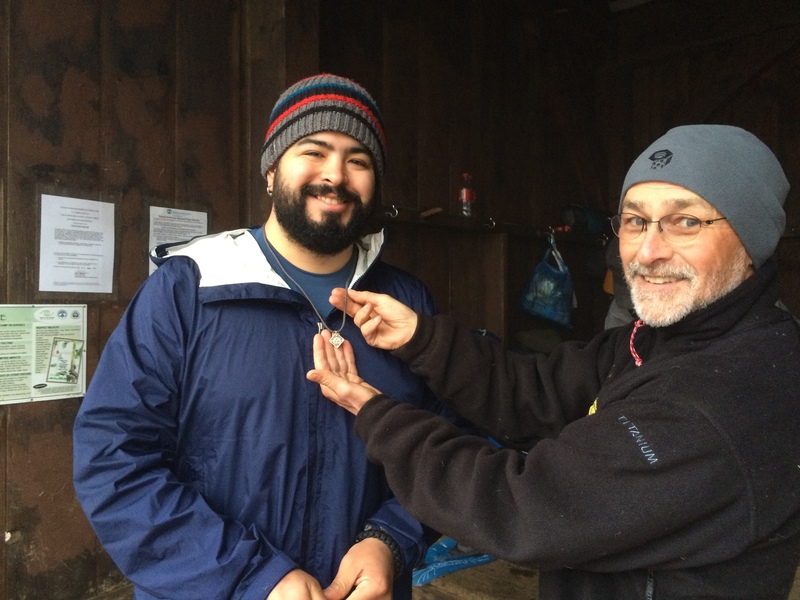 Springer Mountain, Georgia, March 21 – 26, 2015 — My volunteer period is complete. I’ve hauled my last load of hiker trash out of the North Georgia hills. It’s now up to someone else. Some end of tour observations follow. It’s a free country. 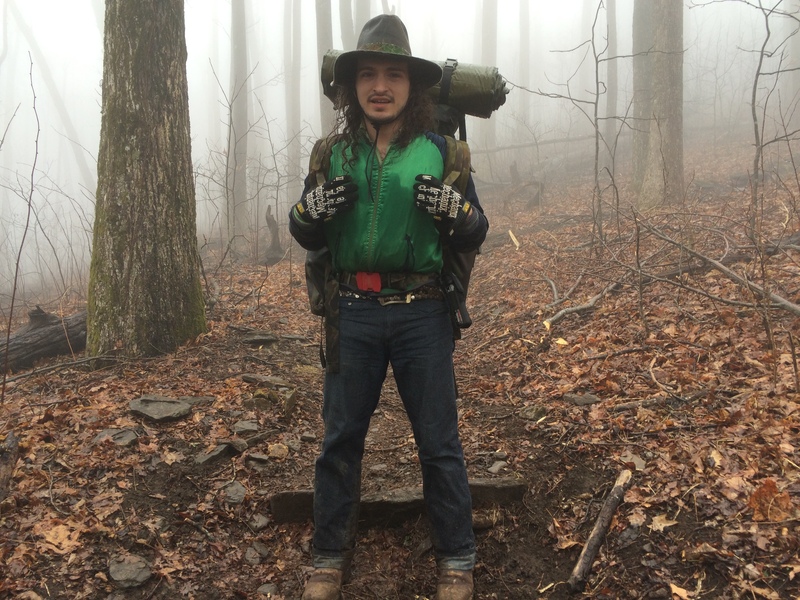 You can tell that from the range of people and their degree of respect for nature, the environment and the hard won Appalachian Trail infrastructure. I just wish more hikers would come to the trail better prepared. The overwhelming majority of people naturally do the right thing. They practice “Leave No Trace” outdoor ethics by taking only photos and leaving only footprints. Everything they truck in, they haul out from cigarette butts, Charmin flowers, and uneaten food to unwanted gear that’s unneeded or too heavy, excess clothing, or used dental floss. My pleasure was being with these folks. They’re plumbers, pipe fitters, surgeons, teachers, nurses and bus drivers. 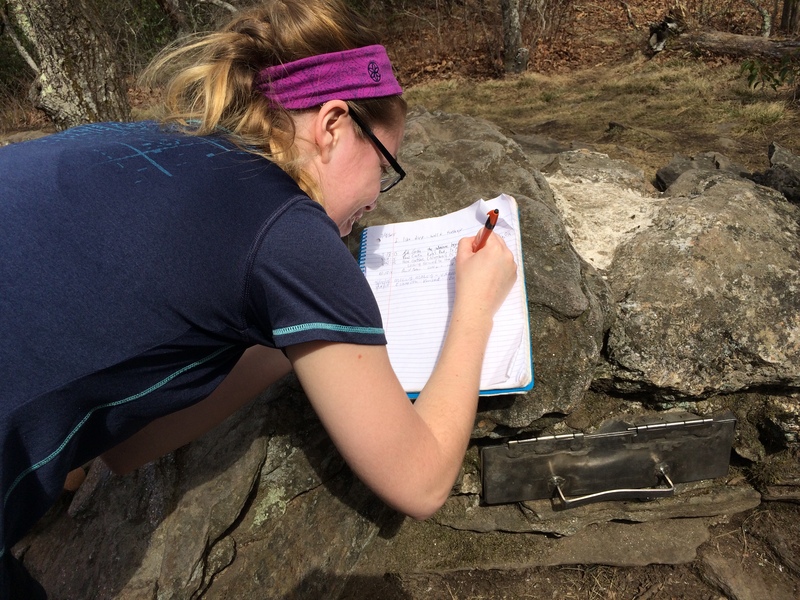 They share a common love and respect for the outdoors and are excellent students of how to do well out here. They love being outdoors and live to be one with nature. 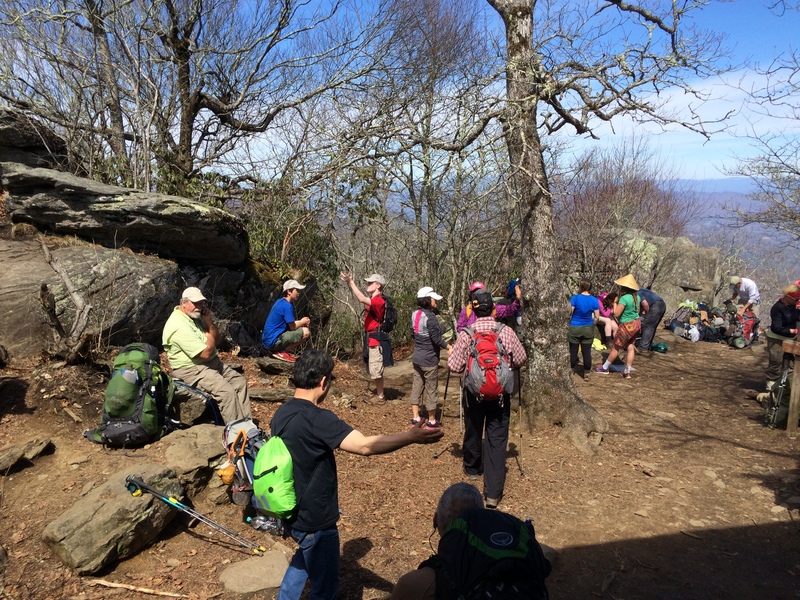 A lot of hikers come to the AT overwhelmed. They struggle to grasp all 2,189 miles at once. It’s like the old aphorism about how you eat an elephant – one bite at a time. The average AT hiker goes to town every five days. If that’s so, hiking the AT is simply 35 consecutive five-day hikes. Put that way, it’s much easier to get your arms around the magnitude of the task ahead. My hope is that more hikers would better prepare themselves. 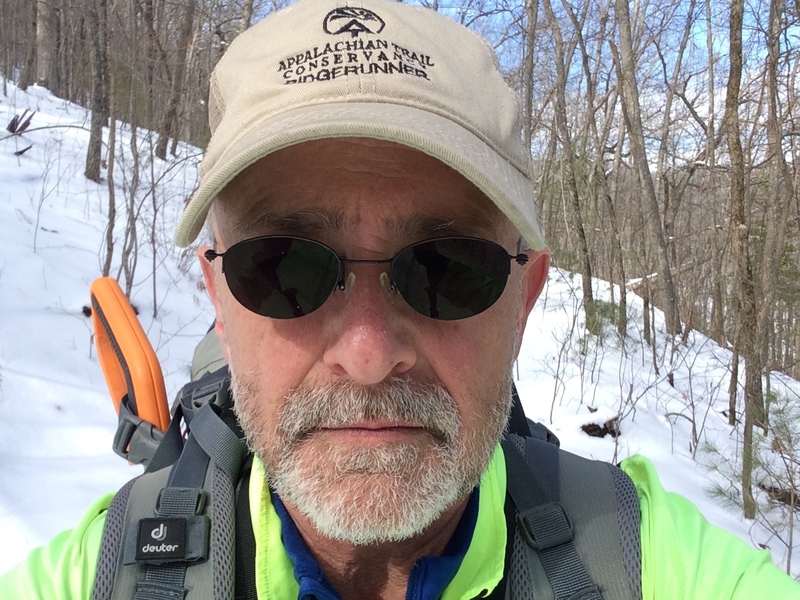 I follow a blogger from Colorado who wrote an interesting post this week about Colin Fletcher who wrote some of the seminal books on hiking including the all time favorite, The Complete Walker. His post can be read at this link. http://www.pmags.com/the-complete-walker-iii-colin-fletcher I just wish more people would read Fletcher, or at least check out the enormous amount of information available on line. Here’s a fellow dressed in cotton (cotton kills). He also could learn a thing or two about packing. Others are far less attuned to ethical behavior in the back country. They do what they do back home. Twice hikers even tried to argue that I was hiding the trash cans from them. 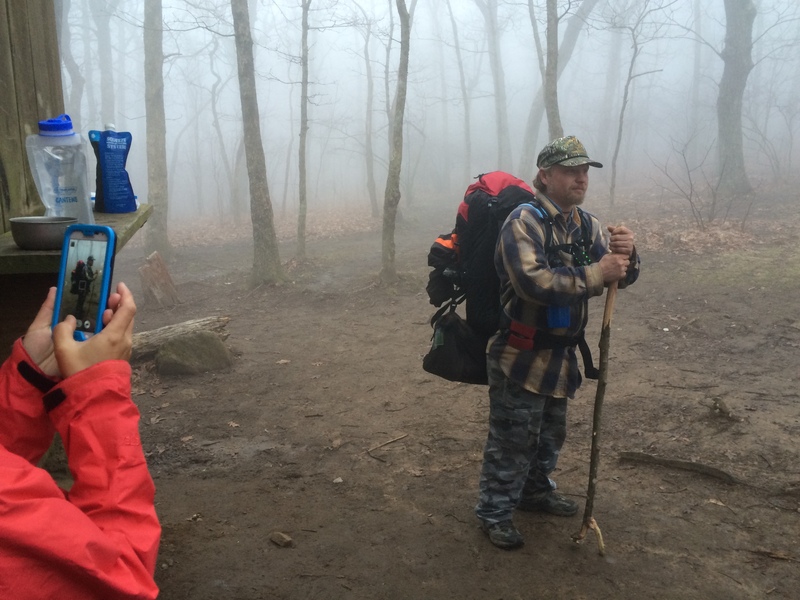 These would-be-thru-hikers had a hard time appreciating that thru hiking is supposed to be a wilderness experience. You pack it in. You pack it out. No trash cans. End of story. I was ignored more than once. 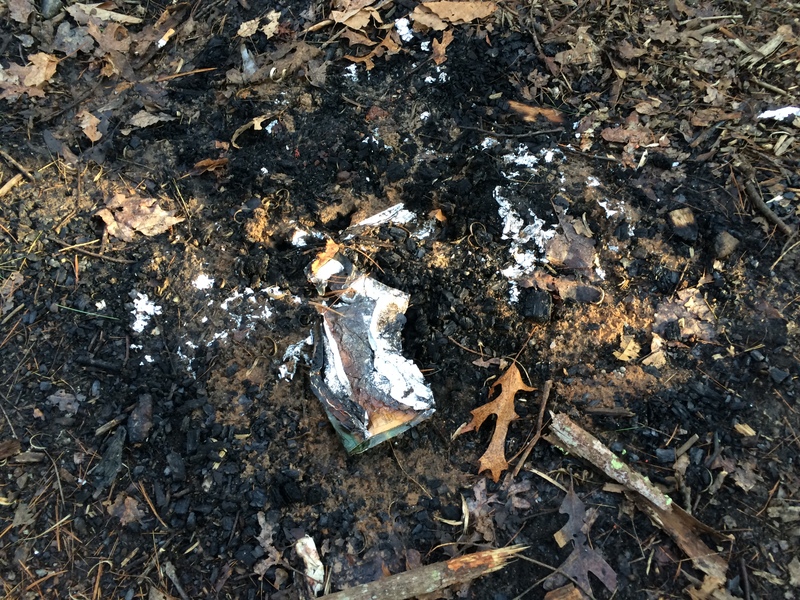 Food containers do not burn completely. Nothing should go into the fire pits or privies that’s not supposed to be there. Bill Bryson had it right in his book A Walk in the Woods. It’s been made into a movie which will be in theaters later this summer. Bryson wryly observed the unprepared throwing their gear overboard and much more. Why people come out here so poorly prepared is beyond me, and a hellova lot of others too. You don’t have to look far for classic examples. It’s a topic of continuing conversation among the properly prepared. This was my final trash run. The load included a discarded tent, new boots, wet cotton clothing and uneaten food. Total pack weight was close to 70 lbs. Considering how much excellent information is readily available on the internet or from recent books, there’s no excuse for being unprepared. Some self-identify with so-called survivor show heroes and want to give it a whirl. Others are just clueless. Somehow almost all of them manage to learn one thing – that is to wind duct tape around their hiking poles. A precious few don’t even find that out. There are two basic hiker types out here. There are the thru hikers. They are self-evident. Only one in four will finish. Still, this is their season. They’ve got until mid-October to climb Maine’s Mt. Katahdin before it closes. They’ve got to get going. Some folks are old school. Then there are all the shorter distance hikers, sometimes called section hikers. Of them, about half are on spring break – families and college students alike. This is one of the only times during the year when they can come. 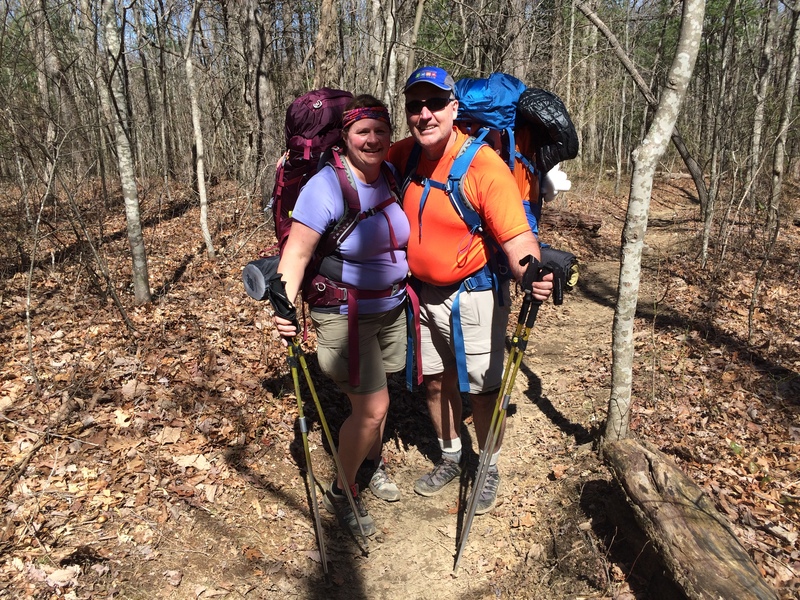 They identify with the AT brand and are in Georgia because it’s where the southern terminus of the trail is, it’s warm and the logistics are easy. They’re not going away. There’s an interesting subculture among section hikers. 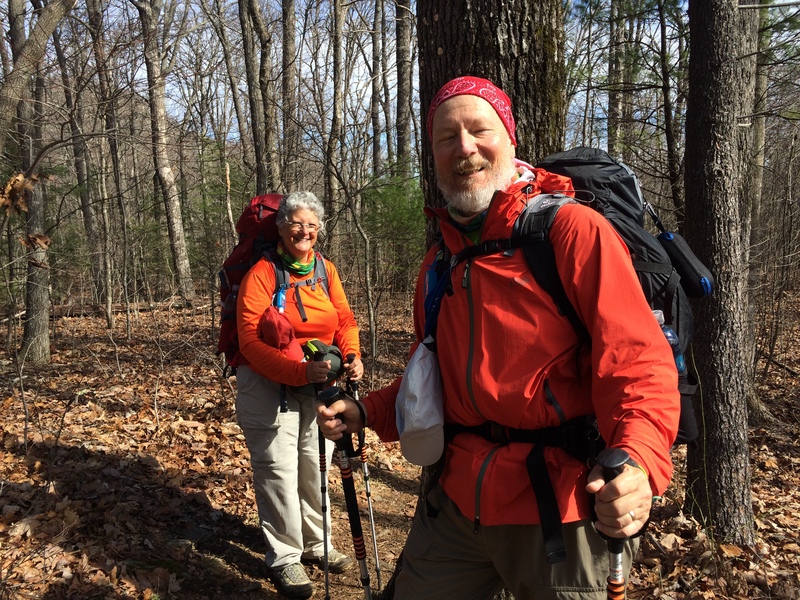 A significant number of these hikers want to share in the excitement of the great spring migration – to be there, to rub shoulders, to share the thrill and/or to relive their own adventure and reignite memories of years past. Some come every year. It’s muddy form of March Madness where they get to be on the court with the actual players themselves. Later they will follow hikers they’ve met and root for them. It’s hard to beat. The challenge is that, in the first 30 miles of the trail, for every 10 thru hikers there are 8 section hikers. The infrastructure is taxed to the max! Even the privies fill up – ugh. 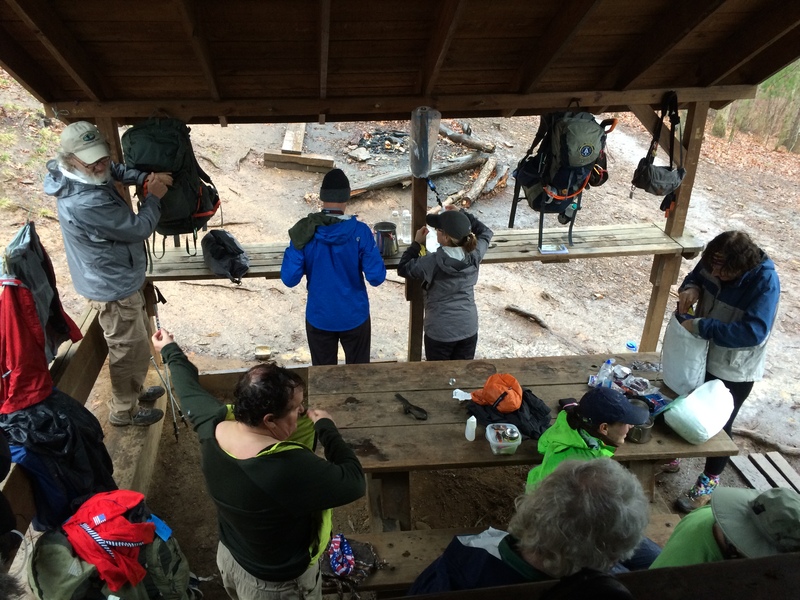 This is the second shift cooking dinner at the Gooch Mountain shelter. These were some of the folks tenting in the rain. Overcrowding has its downsides. Earlier in the week, the Georgia Health Department issued a noro virus warning. A case had been reported in the state. Funky hikers who don’t know how to stay clean in the wilderness, living in close proximity, form a perfect petri dish. In spite of the beauty, it can get really ugly out here. Nevertheless, it’s worth it. Blood Mountain on Saturday morning. Some of the thru hikers showed me the trash they’d collected. 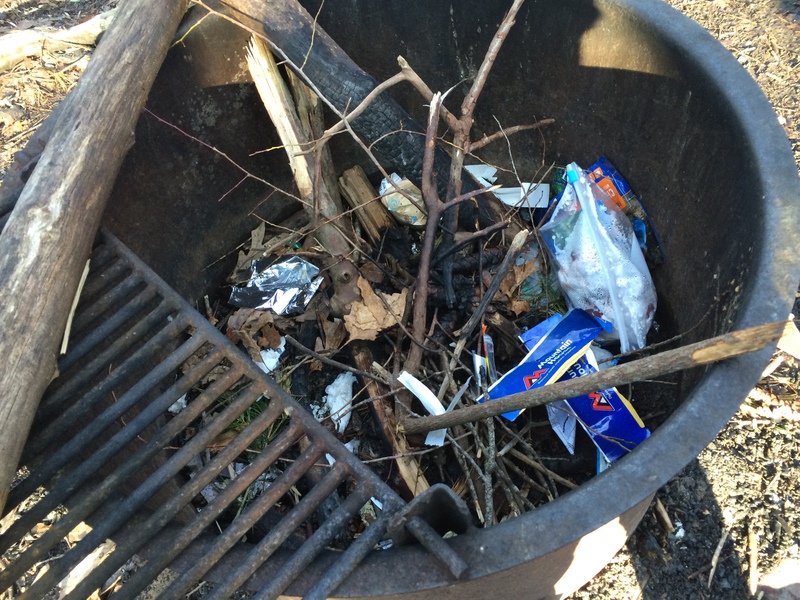 Many hikers are tuned in to Leave No Trace practices and collect trail trash as the hike. 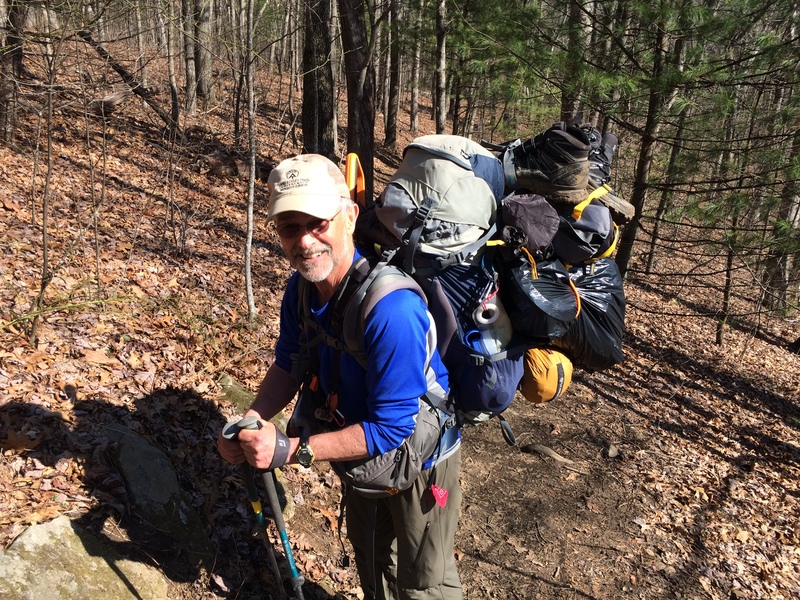 I gave one hiker (from Brooklyn, NY no less) a “Trail Karma” award for carrying out discarded clothing and other trash. Gene from Brooklyn gets a “Trail Karma” award. 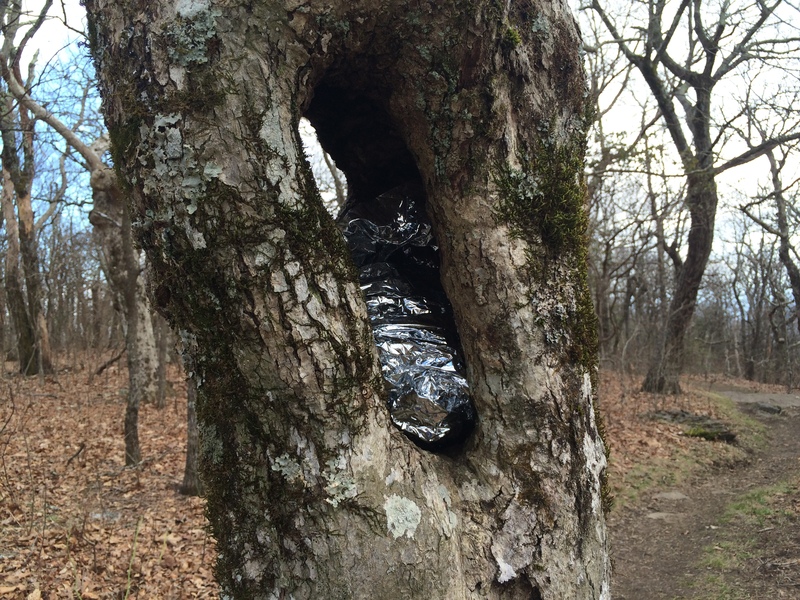 Someone creatively tried to hide a space blanket they no longer wanted. Still, hikers are excited to be on the AT whether the trail viscosity matches a hot fudge sundae on a summer day in Georgia or it’s frozen over. In many cases they are living their dreams. 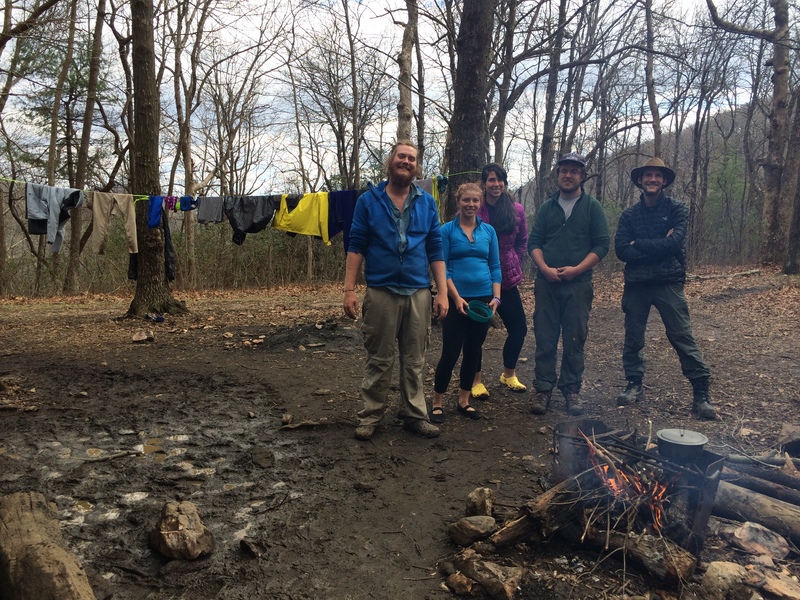 Drying out at Hawk Mountain. Her dreams are one step away from becoming reality. During my stay the seasons changed – at least twice. This year the Appalachian Trail is 90 years old. It was built by volunteers and is maintained by volunteers as originally envisioned by its founder Benton MacKaye. It’s thrilling to play a small role in that legacy. 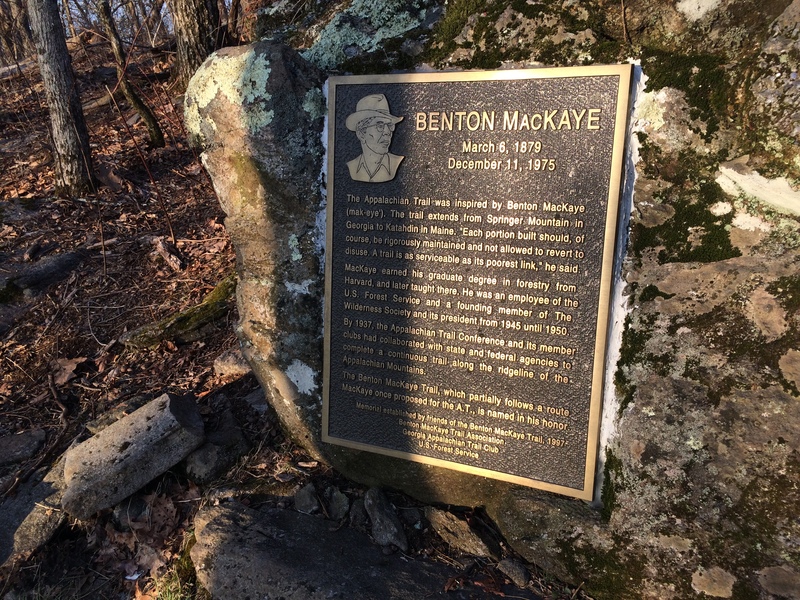 Springer Mountain memorial to Benton McKaye who envisioned a hiking trail along the spine of the Appalachian Mountains from Maine to Georgia. That was very interesting, Jim. Your insights are excellent. The hikers come in all shapes, sizes, and attitudes. Thankfully, it seems most are intent on having a meaningful experience and want to leave the trail good for the next person. That is as it should be. Let’s see. There’s my honey do list which is longer than a Georgia “wait-a-minute” vine. 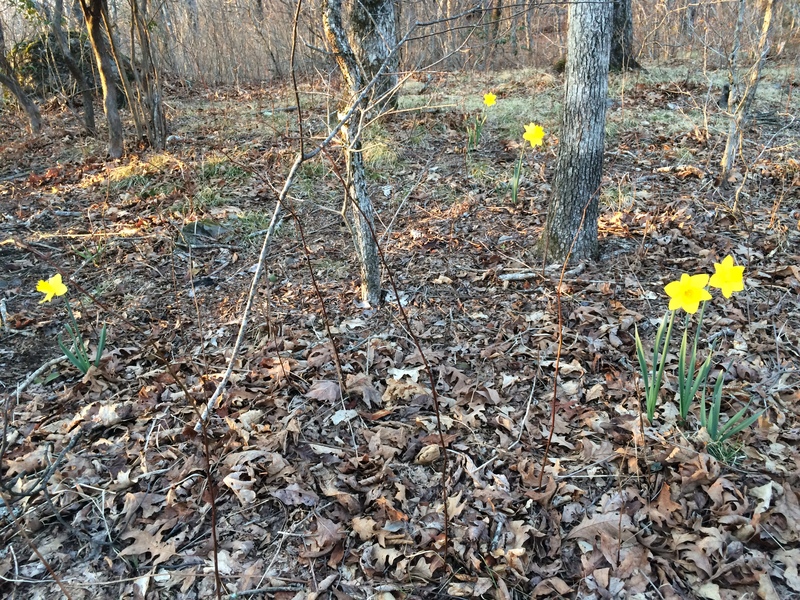 Then I’ve signed up for four week-long trail crew projects that will unfold over the summer and into late fall. 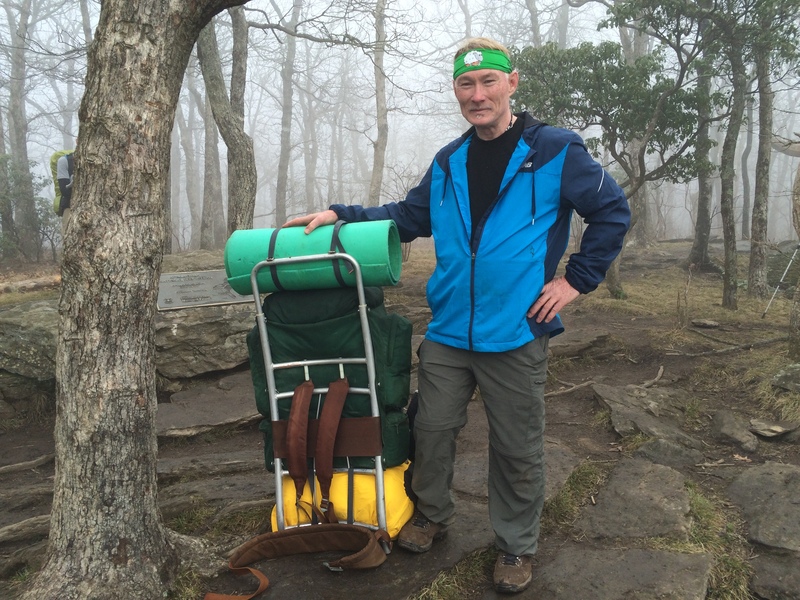 I’ll be leading hikes at the Appalachian Trail Conference biennial gathering this July. I’m hoping to hike the Colorado Trail and finish the Long Trail in Vermont though I spent so much money in Georgia that Colorado may have to wait a year. Sounds like you have a full summer. Just plant the rhubarb. It takes care of itself. Interesting read and points, as always. 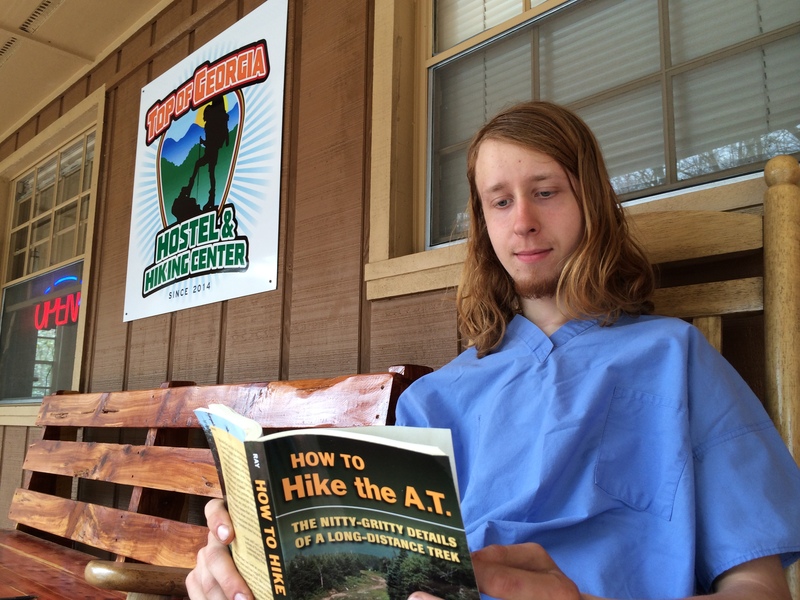 A couple of questions…have you heard of any news of the hiker who disappeared along the AT last summer? Her first name was Geraldine, if I remember correctly, and I read that her nickname was “Inchworm.” Also, thought I’d mention a charming book on walking in Vermont, since you mentioned it here…have you read Christopher S. Wren’s book titled “Walking to Vermont?” It’s his story of retiring and then walking to his retirement locale in Vermont. Thought you’d find it interesting, if this isn’t old news. Sounds like a good read. I’ll get a copy. Gerry Largay was never found. The posters are still up in the area where she was lost. It’s very unusual that no evidence of her existence was ever found. One theory is that someone on an ATV may have taken her away by force. There’s an ATV trail that intersects the AT at Orbiton stream. It’s a sad case. what a joy to read your blog! Thank you for being there, and delivering tough love to these hikers! My only interest was helping the hikers become successful. The definition of success includes protecting the environment, the AT infrastructure, and the experience of others. Job well done! What a great way to spend time on the trail helping hikers out. People are interesting to study especially under those circumstances. People are always fascinating, especially the naive ones. I thought about a lot of survey questions I’d like to ask. There’s a gold mine of data to be had out there.